The 2016-17 NHL season is here, and the long road to the Stanley Cup Final has officially begun for all 30 teams. The Pittsburgh Penguins will look to defend their Stanley Cup championship from a season ago, while a slew of young phenoms like Connor McDavid, Auston Matthews and Jonathan Drouin all look to make another substantial impact in the league this year. For Tampa Bay Lightning fans, seeing Drouin in his third NHL season will come at quite the price if searching for NHL tickets on the secondary market. Using the TicketIQ NHL value index, which equates each team with a valued number in terms of resale ticket price at home and Stanley Cup odds, it will be Lightning fans who receive the best value for the return product during the 2016-17 NHL season. As one of the cheapest teams to see live and their high Stanley Cup odds, the Lightning offer the best ticket deal in the NHL this season. Lightning tickets on TicketIQ currently own a $106.53 average across all 41 home games at Amalie Arena, making them the seventh cheapest team in the league. They own the second best Stanley Cup odds at 15/2 (7.5) behind the Chicago Blackhawks' 5/1 odds (5). The Washington Capitals and Pittsburgh Penguins are the second and third best-valued teams on the secondary market during the 2016-17 season. 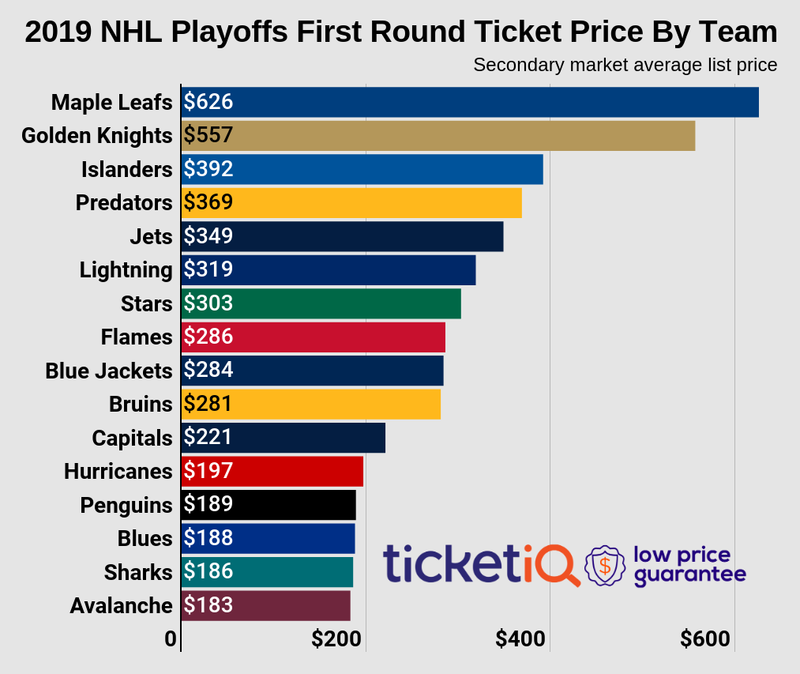 Following their second straight Eastern Conference Semifinals appearance, the Capitals are still a relatively cheap ticket in the NHL, with the average price for Capitals tickets at Verizon Center listed at $144.87. Even after hoisting Lord Stanley last June and posting the best value for tickets during the NHL Playoffs last season, the Penguins are again rewarding fans with incredible value in 2016. Penguins tickets at PPG Paints Arena are averaging $149.42 and the team's Stanley Cup odds are 17/2 (8.5), making them the third best-valued franchise in the NHL this season. On the opposite side of the spectrum, the Toronto Maple Leafs own the worst value for tickets this season. Maple Leafs tickets during the 2016-17 NHL season own a secondary market average of $377.71, the highest average price in the league. Add that to their slim Stanley Cup odds (70/1 or 70) and they are far and away the worst-valued NHL ticket this year. For the best deals on all NHL tickets this season, download the TicketIQ app. Our app is the only engagement-based loyalty program in the marketplace and helps fans save up to 10 percent on all IQ Certified listings. Download the TicketIQ app today and start saving!